Buying A Disney – What will you do with your membership? Want or Own A Disney Membership ? If you have never heard of a Walt Disney Membership, this is how a membership works and how affordable a Disney Membership can make a family’s wishes come true. The best thing is that a membership is affordable and payments are flexible. Your family is able to see Disney now and many more times in the future. The essence of the Disney Membership is the Vacation Points that can accumulate. This membership will breakdown for the member exactly what the cost will be for purchasing an interest in a Disney Vacation Club Resort. The member will also find that they will have plenty of choices and flexibility in their vacationing planning. The dates that the member chooses and the length of stay at Disney to the type of room they desire is all going to be flexible. Disney offers to member’s quality of service with no pressure added. There are numerous benefits to becoming a Member, such as, discounted theme park passes. When these new Disney benefits are compared to the traditional timeshare programs or vacation rental the program is much more flexible. This is one drawback to the traditional timeshare. People could not always vacation when they desired, but had to work their schedule around the time slots of others. When one decides to become a DisneyMember they receive Vacation Points as their yearly allotment. These points are based on the size of the real estate interest. When these are purchased from Disney the point go towards Disney Resorts and any one of the Member get-a-ways. The larger the real estate interests the more days and bigger the accommodations you will receive on your Disney Vacation Package. The points can be used anyway that the member so chooses. As a Disney Member one may take as many vacations per year as one chooses. Accommodations can be a Deluxe Studio to a Grand Villa. If one does not have enough vacation points one year to plan what they would like to do, one can bank the points and accumulate more the following year. Alternatively, one can borrow some of the following year’s points and go ahead and go. The following is an example of how Disney Points work: Points are based on a cash purchase of real estate interest at Disney’s Grand Floridian Hotel for $22,000 plus closing costs of $270.00 plus annual dues of $900.00 per year or broken down into 12 months. This may equal around 165 points per year. With 47 points a member can get for a 3 day weekend stay a Deluxe Studio. With 117 points the member can buy a one bedroom villa for 3 nights. For 160 points the member can buy a one bedroom villa for one week in Italy. Points can be accumulated and used any way that the member so chooses. Points can even be used on cruises. The benefits of Membership are too numerous to mention, as one may choose where we want to visit. 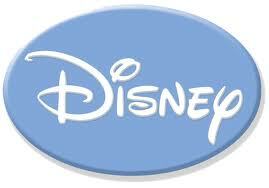 This includes the United States as well as somewhere around the world and affiliated with Disney. As a Disney Member, all you have to do is show your Membership card and you are able to realize a tremendous savings on dining at a Disney resort, see great discounts on spa treatments, rentals on everything, save on merchandise and tours, get golf discounts at Disney, and save on annual passes and receive special vacation planning from guest services.